Pork Tenderloin is one of my favorite go to dinner options. In this quick and easy recipe, pork tenderloin is pounded into medallions, then grilled to tender perfection in just minutes. 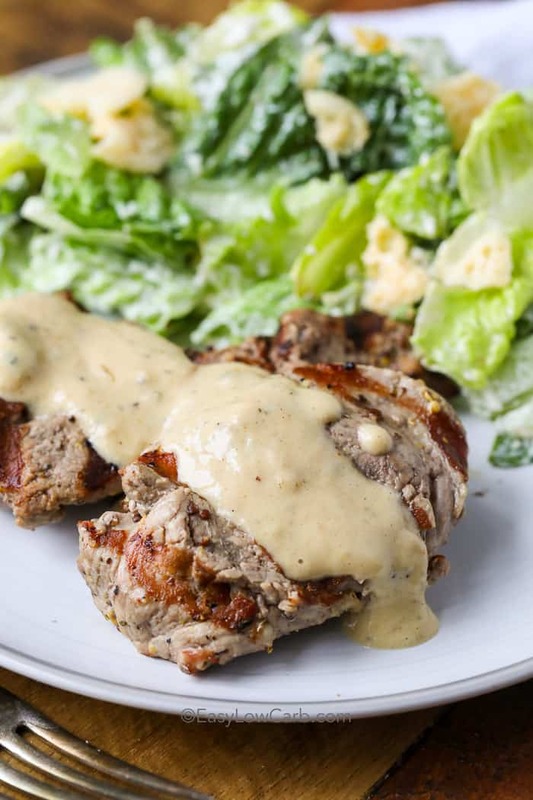 I add in my favorite sauce for pork tenderloin; a creamy dijon sauce. Pork tenderloin is one of the most perfect cuts of meat. It’s so delicious and if you cook it right, it’s fork tender! I love getting behind the grill in the summer! There is something about grilling on a patio that makes me nostalgic; I remember watching my dad grill us some amazing dinners while we would play in the backyard, then sitting down to enjoy our dinner on the patio as it cooled off. This grilled pork tenderloin really brings me back to those days. They are pounded until uniform, then grilled until they are cooked perfectly. You MUST try this sauce, it’s perfect on pork or steak and OMG I could actually literally drink it. I’m not kidding. 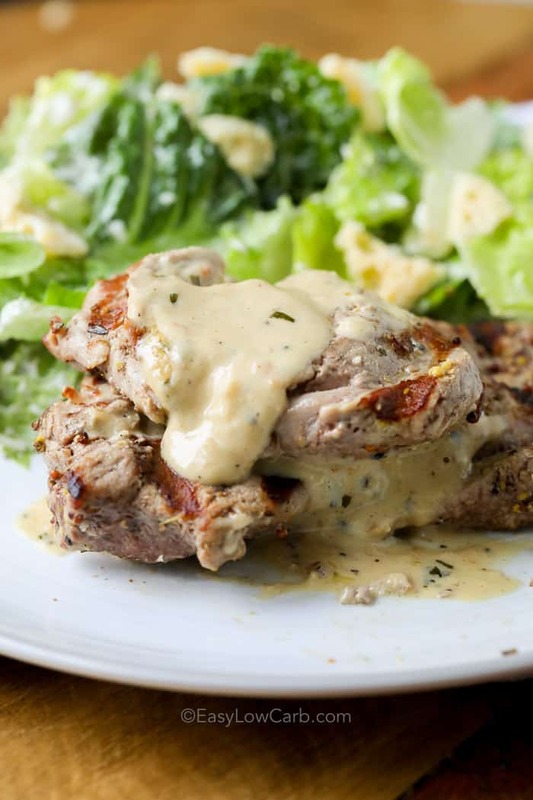 This creamy dijon sauce for pork tenderloin is easy to make with chicken broth, cream, tarragon, dijon mustard, horseradish, and butter. I love using this sauce on chicken breasts, fish, you name it… it is definitely the best sauce you will ever put on grilled pork tenderloin. Pork tenderloin is the perfect grilling meat. We start by pounding out the pork into medallions. This tenderizes them and helps them to cook evenly. Once your pork is pounded and marinated, get your grill heated to high. Because the pork medallions are so thin, they cook pretty quickly. Pork can dry out fast, so it works best to keep your grill hot to really get a sear on them. Grill your pork tenderloin for 3-4 minutes on each side or until just slightly pink inside. Don’t worry, they will finish cooking while they rest. Serve your pork tenderloin with the mouthwatering sauce and enjoy! We pair this delicious pork tenderloin with roasted radishes and rosemary mushrooms for the perfect keto patio dinner. Even your carb lovin’ friends will love it!! 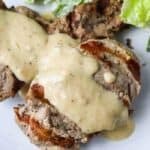 If you have leftover pork tenderloin, grab a piece of lettuce and make yourself a lettuce wrapped pork burger with a little bit of the creamy dijon sauce. It’s the perfect lunch! 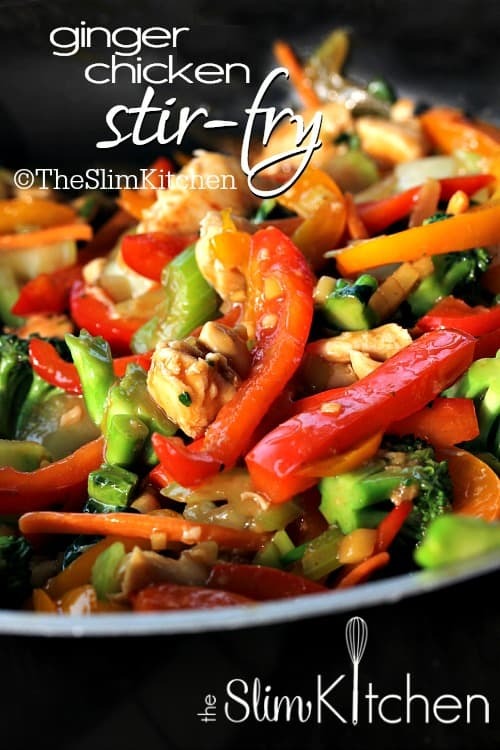 I love serving pork tenderloin with just about anything, a quick salad or just grilled veggies! I already mentioned rosemary mushrooms, which can also be made on the grill. If you aren’t grilling your tenderloin, throw some roasted radishes in the oven while you bake your pork tenderloin. Keep your dinner low carb with a cauliflower potato salad, or even just some of your favorite steamed veggies. You really can’t go wrong here! Pork tenderloin is pounded into medallions, then grilled to tender perfection. 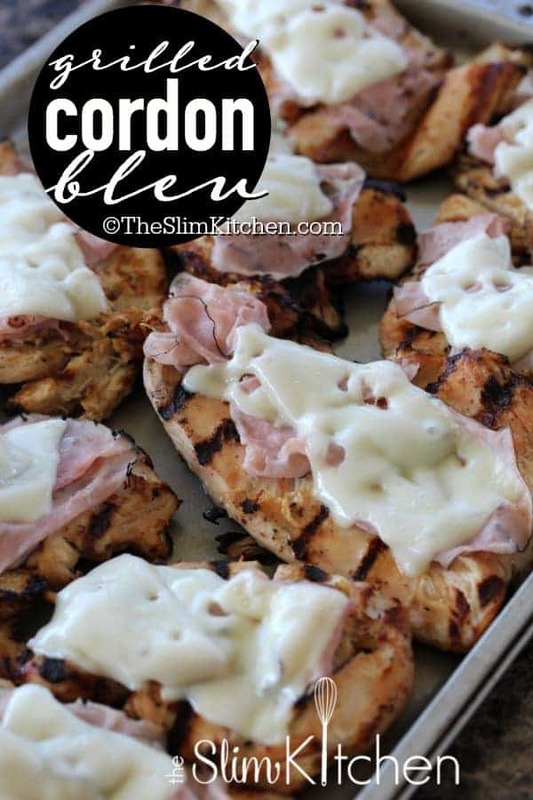 We top this with a homemade creamy dijon sauce for a mouthwatering, low carb dinner option. Cut each Pork Tenderloin into 3" pieces and using a meat mallet, pound pork pieces until 1/2″ thick. Toss with olive oil, oregano, dijon mustard and pepper to taste. Marinate 15 minutes. Meanwhile, combine all sauce ingredients except butter in a pan. Bring to a boil, reduce heat and simmer until thickened (about 10-12 minutes). Remove from heat and whisk in butter. Preheat grill to high. Grill the Pork Medallions on high 3-4 minutes per side or until just slightly pink inside. Remove from heat, let rest a few minutes. 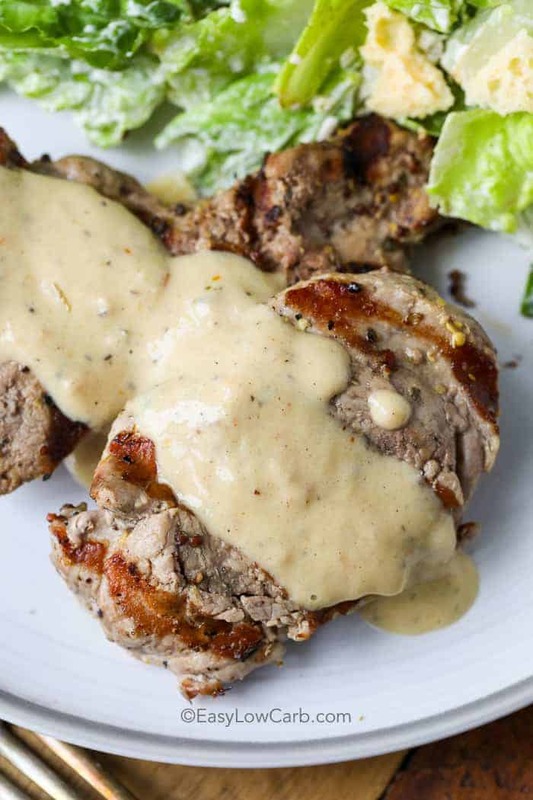 Serve pork medallions with sauce. 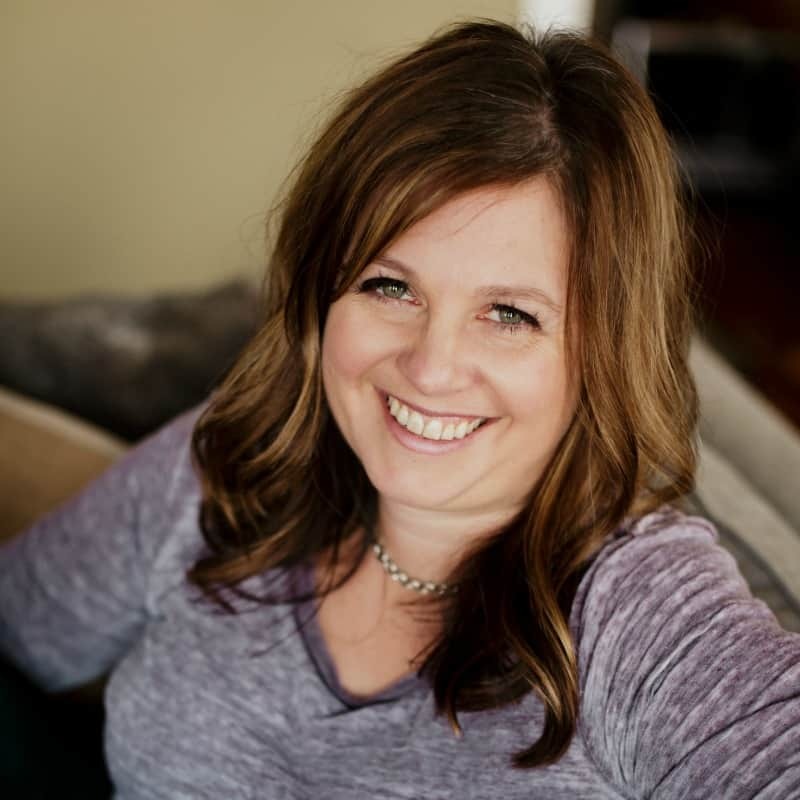 REPIN this Perfect Pork Recipe!